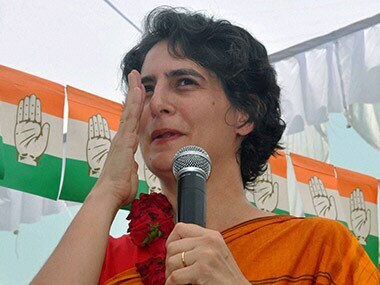 Priyanka Gandhi Vadra's role has always been special when it concerns Rae Bareli and Amethi. This time around her campaign trail gives an impression that she is there not just to lend a helping hand to manage the electioneering but to make a spirited defence of criticism that the family is facing from various quarters, people and parties included, to try and boost the sagging family stock and more importantly be its saviour – for mother, brother and husband. To accomplish her task she uses a combination of high emotiveness, aggression, friendliness and a sense of hurt to counter her family's supposed “humiliation”. Though she has so far mostly confined herself to Sonia Gandhi's constituency of Rae Bareli, she knows that it's her brother Rahul and husband Robert Vadra that really need to be defended. One way to do that is to join Sonia and Rahul in sharply targeting Narendra Modi, in a manner and fashion that is different from her mother and brother, with responses to questions raised by the BJP prime ministerial candidate and his party. Recall the supposed values and vision of grand mother Indira Gandhi and father Rajiv Gandhi, the two people from the family whose nostalgia factor is very high in these Nehru-Gandhi Pocket boroughs. 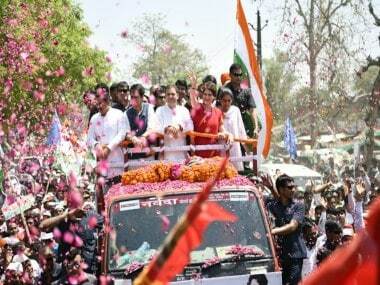 On Saturday, Priyanka, for instance, gave her mother’s public rally in Rae Bareli a miss. The last time Sonia Gandhi addressed a public rally in Rae Bareli, Priyanka had fondly pulled her cheeks. But this time faced with a greater threat and an advancing challenger their tasks are clearly cut out. 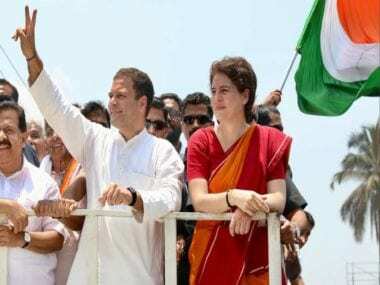 Though this was Sonia’s first landing in her constituency after filing her nomination papers for these elections, Priyanka took a day off from there to campaign in Rahul’s constituency Amethi. 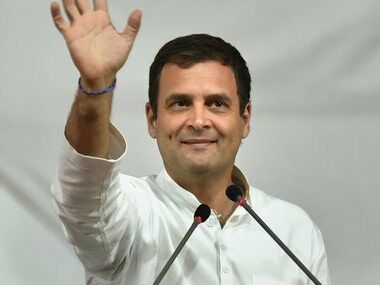 For the first time ever, since the family re-established its connect with this constituency since 1999 (from 1999-2004 by Sonia Gandhi and since 2004 by Rahul Gandhi), Amethi is facing a real contest. 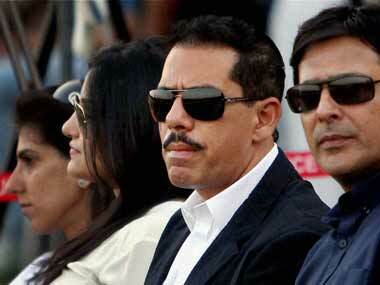 Rahul is pitted in a triangular contest with BJP's Smiriti Irani and Aam Admi Party’s Kumar Vishwas. Both of them are good public orators, using years of silent anger of a substantive section of voters to their favour well. Though Rahul still does not face the prospect of losing the polls, his strength in the constituency is considerably diminished. This trend is too visible and becomes clearly apparent after taking a round in the constituency and talking to various sets of people. She further recounts her connect with Amethi. How she started working day and night when she came here to work for her mother until 2004 when she shifted to Rae Bareli, vacating Amethi for Rahul. “I cried while leaving from Amethi”, she said. As she finished, an enthusiastic sympathiser shouted, Amethi ka danka, naiya par karegi bitiya Priyanka. Did she mean she could have contested from there and entered politics way back in 2004 itself, if her mother wanted it that way? That’s anybody’s guess. The Congress could ponder over that. Party general secretary Janaradan Dwivedi had recently revealed that Rajiv Gandhi had told him about Priyanka’s political inclinations. She obviously was very peeved with that ad campaign, responding to that she said, Some time he teaches ABCD, sometime RSVP and some time Hindi alphabets Ka, kha, Ga, Gha, Kabhi Da se Desh kabhi Ka se Kaua, ab ba se bas bhi karo. You are not teaching in a primary school, you are addressing the nation, tell them what you will do. When you address the people of the country tell them what you will do for them." Modi had earlier described UPA's governance as "RSVP model" in which a person was able to multiply his earnings from Rs one lakh to Rs 400 crore in five years. Giving his own meaning to 'RSVP', Modi decoded it as "Rahul, Sonia, Vadra and Priyanka". He had also devised an alphabetical primer to take a jibe at the Congress over a spate of graft cases and said "A for Adarsh ghotala, B for Bofors ghotala, C for Coal ghotala, D for Damad ka ghotala (corruption)... this is the new ABCD... which the Congress adopted to introduce a new book of letters for children." Priyanka knows that she could sound appealing without defending her husband and the best way to do so is to give an emotive talk of “hurt”. Speak about the uneasiness of her children and think about how Indira Gandhi would have acted in the same circumstances. She could still be confined to Amethi and Rae Bareli but Congress workers are already talking of a Plan B (Priyanka), which must unfold after it suffers a defeat in these elections. That may be wishful thinking but this talk is all prevalent in the twin family constituencies. A news item, which appeared in a national daily that she would go campaigning for Congress in Varanasi, is meanwhile quietly denied.